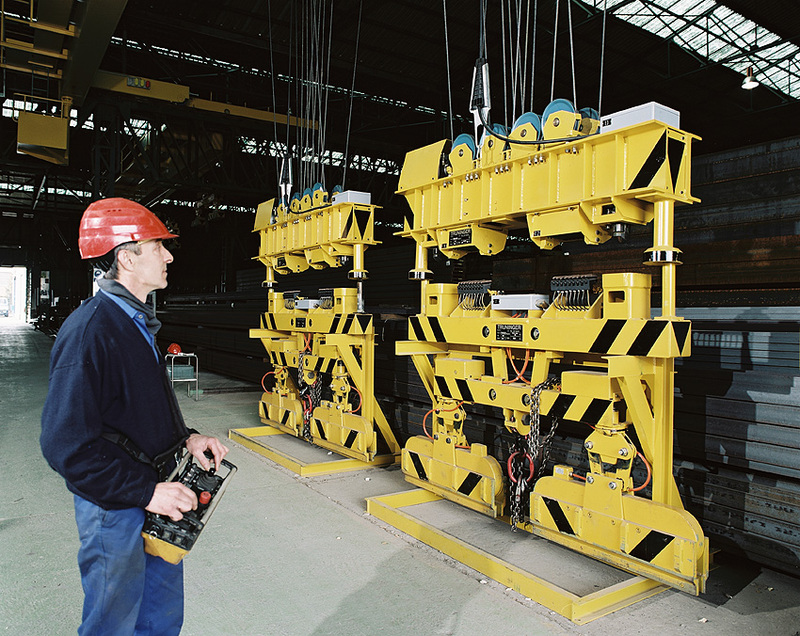 This system allows a number of different products to be handled by the same crane. 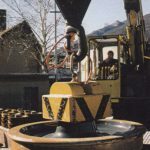 The lower sub- spreaders are detachable, to allow inter-changeability of magnets designed for more than one type of product handling. 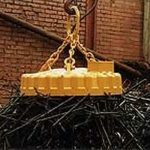 For example, a Quick Change system could have sub-spreaders for handling single structurals or bundles of structurals or bars, dependant on which lower sub-spreader is utilized on the main upper spreaders. The Quick Change system shown with lower sub-spreaders for single, structural products handling. Operator controls the removal and re-placement of the sub-spreaders from the radio controller. The sub-spreaders are secured to the upper spreaders with twist locks. Quick Change system shown with lower sub-spreaders for bundles of structural products.